Sulawesi is one island I have not visited though I have been wanting to go there for some years now. I have heard and read much about it and its people. What has happened is unspeakable. Yesterday I found myself watching videos of the testimonies of Dr Betty Ford and Brett Kavanaugh. I went out of the way to seek those videos out after seeing in my rss feeds totally opposite interpretations of each. One side said that Kavenaugh, for example, just oozed sincerity and honesty and had deservedly secured his appointment on the Supreme Court; the other side claimed that his presentation was viscerally insincere and false and that he had lost any chance of being honestly appointed a Supreme Court judge. Wow, now that’s polarization! 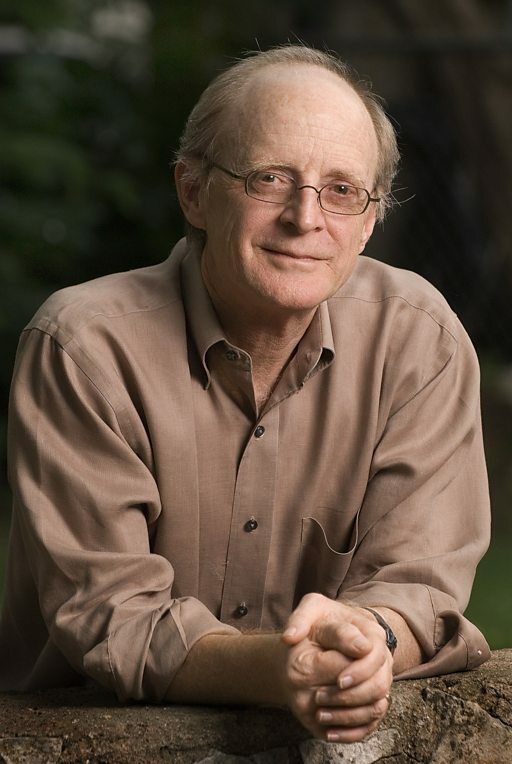 Pennebaker, James W. 2013. The Secret Life of Pronouns: What Our Words Say About Us. New York: Bloomsbury Press. More words, bigger words, more numbers, more details. If you have experienced a real trauma in your life it is easy for you to describe what happened. You can describe the details of the experience without having to do much thinking. Some of the details include information about time, space, and movement. Fewer emotion and cognitive words. If you have lived through a trauma, your emotional state is obvious. For example, if your father died, most people don’t then say “and I was really sad.” It is implicit in the experience. However, people who haven’t experienced the death think to themselves, “Well, if my father died I would feel very sad so I should mention that in my essay.” The person who has had a trauma in the past already has a reasonable story to explain it. The person who is inventing the story must do more thinking—and use more cognitive words to explain it. Fewer verbs. There are a number of different types of verbs that can serve different functions in language. When a person uses more verbs it generally tells us that they are referring to more active and dynamic events. For a person who has had a trauma in the past, much of it is over. If you are writing about an imaginary trauma, you are living it as you tell about it. In addition, imaginary traumas cause people to ask themselves, “What would have happened? How would I have felt?” Discrepancy verbs such as would, should, could, and ought were used at particularly high rates in the imaginary traumas. More self-references: I-words. Recall that I-words signal that people are paying attention to themselves—their feelings, their pain, themselves as social objects. By the same token, the use of first-person singular pronouns implies a sense of ownership. Not surprisingly, people writing about their own traumatic experiences were more acutely aware of their feelings and, at the same time, embraced their traumas as their own. 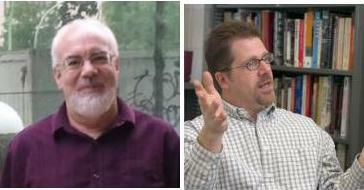 Smith, David Norman, and Eric Hanley. 2018. “The Anger Games: Who Voted for Donald Trump in the 2016 Election, and Why?” Critical Sociology 44 (2): 195–212. https://doi.org/10.1177/0896920517740615. forcing moral outsiders to submit. . . Authoritarianism is not the wish to follow any and every authority but, rather, the wish to support a strong and determined authority who will “crush evil and take us back to our true path.” Authorities who reject intolerance are anathema, and must be punished themselves. The desire for authoritarian leaders arises not from a submissive spirit but from a wish to see in charge someone who is “punitive and intolerant“. Previous studies are cited that appear to make a convincing link between authoritarianism and prejudice. There is a strong statistical correlation between authoritarianism and many forms of bias, “from ethnocentrism to misogyny and homophobia”. It appears that people who support intolerant leaders are not somehow playing down their intolerance because they like something else about them; it looks like they support them because they are intolerant. The researchers examined 1883 white voters in the 2016 election. Of those 1883 around 52% voted for Trump (979) and of 716 of his supporters (73%) “voted for him enthusiastically”. The very fact that people in a group share this religious ideology and perform important rituals together sharpens their perception that they are indeed a group with clearly marked boundaries. Worshiping the same gods creates a community and by implication gives that extra edge to the feeling that people with different gods or spirits really are potential enemies. Indeed, people who become deeply involved in religion, for whom it is a matter of vital importance that their doctrine is the only source of truth, will not hesitate to massacre the ones who seem not to acknowledge this obvious fact or whose commitment is too lukewarm. The most heinous crimes will be a celebration of the True Faith. This is how gods and spirits lead to group cohesion, which leads to xenophobia, which leads to fanatical hatred. Practically everything in this scenario is misguided. The researcher I quoted is Pascal Boyer, an anthropologist and author of Religion Explained: The Evolutionary Origins of Religious Thought. 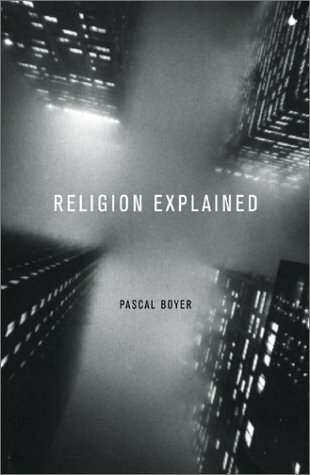 The beauty of Boyer’s book is that he gets behind our narrow conceptions of the nature of religion that are limited to our own particular history, technologies and culture finds out what is really going on under the hood, what is it about religion as a generic human experience across all cultures that makes it tick. Boyer informs us about the ways researchers into religion (other anthropologists and sociologists in particular) have come to explain religion in terms of universals of human nature. What separates the organized religions we are most familiar with (Christianity, Islam, Judaism, Buddhism, Hinduism) from more primitive types of religion (animism, ancestor worship, shamanism) is technology, especially the technology of literacy that first emerged in highly complex societies. I don’t know what lies ahead but a study of Iran and its Revolutionary Guard (IRGC) by a Senior Analyst at the Center for Strategic Studies at CNA leads me to think that Western voices urging diplomatic support for the moderate political forces in Iran (as opposed to funding terrorist attacks or dropping bombs and missiles on the country) have the wisdom of history on their side. After 9/11 there was a window of opportunity for mutually beneficial US-Iranian cooperation in getting rid of the Taliban and Al Qaeda then in Afghanistan. 3. See for example, “Khatami Condemns Terrorism, Calls for Global Fight against It,” Vision of the Islamic Republic of Iran Network 1 (Tehran) in Persian, September 22, 2001, BBCWM, September 22, 2001. The 9/11 attacks inspired a rare display of sympathy for the United States across Iran. Spontaneous candlelight vigils from Tehran to Shiraz accompanied statements from President Mohammad Khatami condemning terrorism and the attacks.3 The goodwill was short lived. As Washington began building up a campaign against the Taliban and Al Qaeda in Afghanistan, Iranian pundits warm against any American military action in the Muslim world. A news site connected to the conservative Islamic Propagation Organization warned: “Any unilateral military action against innocent Afghans may help to boost the image of Uncle Sam at home, but it will surely tarnish the US image on the international arena for its flagrant violation of international law.” While condemning the 9/11 attacks, the reformist Aftab-e Yazd newspaper argued that 9/11 “should not become an excuse to make the world insecure and create warlike events.” Yet, as Iran was condemning American aggression, Khatami’s administration was secretly exploring ways in which Iran could assist the effort against the Sunni fundamentalist Taliban. Iran had been actively supporting Afghanistan’s Northern Alliance for years, and had almost gone to war with the Taliban after the murder of eight Iranian diplomats in Mazar-e Sharif in 1998. Iran had a vested interst in seeing the Taliban overthrown in favor of its allies in the Northern Alliance. First, we sought ways to unseat the Taliban and eliminate extremist terrorists, namely al-Qaeda. Both of these groups… were arch enemies of Iran. Second, we wanted to look for ways to test cooperation with the Americans, thus decreasing the level of mistrust and tension between us. During these meetings, neither party pursued the subject of Iran-US relations. Nonetheless, we did the groundwork for significant, mutual cooperation on Afghanistan during these meetings, resulting in Iran’s assistance during the attack on the Taliban. Iran’s delegation consisted of three ambassadors and one anonymous “member of the security establishment responsible for Afghanistan”—likely a member of the IRGC’s Quds Force. . . . The Iranians eagerly shared intelligence on Taliban positions. In one meeting, the lead Iranian negotiator gave Crocker a map that identified Taliban locations. Crocker recounted the exchange in an interview with the New Yorker’s Dexter Filkins. 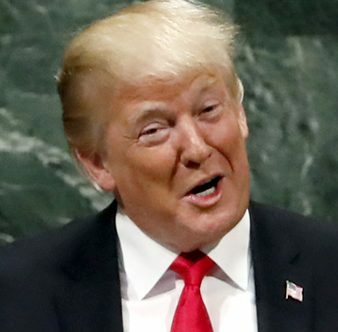 He recalled the Iranian saying: “Here’s our advice: hit them here first, and then hit them over there. And here’s the logic …” Crocker asked if he could take notes, to which the Iranian diplomat responded: “You can keep the map.” At one point the lead Iranian negotiator told Crocker that Soleimani was “very pleased with our cooperation.” The diplomatic exchanges bore fruit Crocker recalls giving his Iranian counterparts the location of an Al Qaeda operative living in the eastern Iranian city of Mashhad. The Iranians detained the operative and later turned him over to Afghanistan’s post-Taliban government. The IRGC’s help might have also extended to the battlefield. 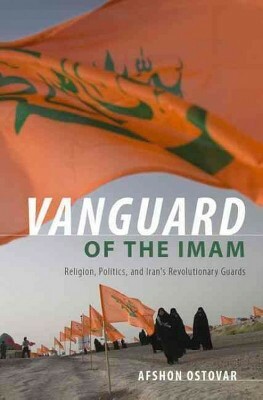 Mousavian writes that through the Quds Force’s close ties with the Northern Alliance (America’s Afghan allies against the Taliban), the IRGC had been “actively involved in organizing” the victory over the Taliban in Herat (western Afghanistan), and Soleimani himself had been “key in organizing” the Northern Alliance’s advance into Kabul. But then, alas, there was that “axis of evil” speech. Recall those scary neo-cons from hell. In those days they looked like a gang that had shot out of left field. As was the case in the 1990s, there was substantial support within the CIA and the State Department for taking Khatami at his word and attempting to normalize relations with Tehran. The neoconservatives inside and outside of the administration, however, vehemently opposed that idea; they favored getting tough with Iran, and they carried the day with Bush and Cheney. In his State of the Union address in late January 2002, the president rewarded Iran for its cooperation in Afghanistan by including it in the infamous ‘axis of evil.” Moreover, Bush made it clear in the following months that although he was preoccupied with regime change in Iraq, he would eventually turn to Iran and try to topple that government as well. Not long ago PZ Myers responded positively to certain arguments in the post by Tim O’Neill, Jesus Mythicism 3: “No Contemporary References to Jesus”. 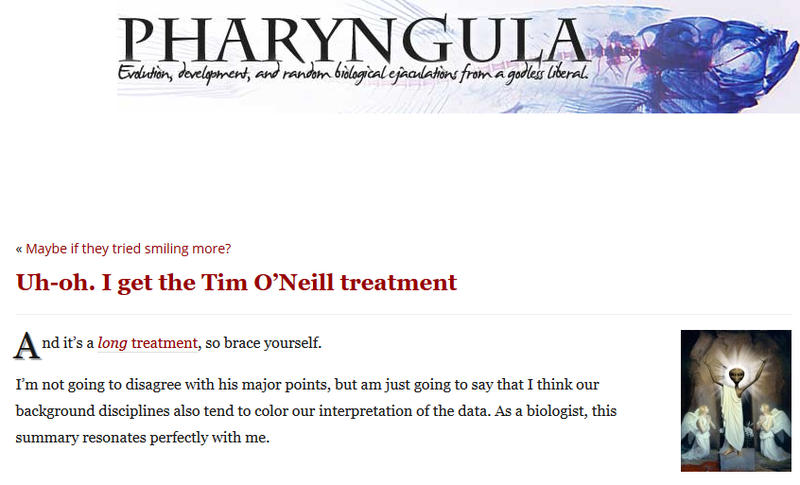 PZ was not to know of the presumably inadvertent misrepresentations Tim O’Neill made of David Fitgerald’s arguments in that post. In a followup post by PZ, Tim reminded readers that he had, he believed, demonstrated the incompetence of David’s arguments. Now I am sure Tim is convinced of his sincerity and genuinely believes that his criticism of David’s arguments are entirely just and reasonable. I also think that the emotive language Tim so often uses betrays an emotional investment in his viewpoints that blinds him from his bias and accordingly from noticing details in David’s book that contradict his (Tim’s) perceptions (better, pre-perceptions). Seneca the Younger (c. 3 B.C.E. – 65) Lucius Annaeus Seneca, Stoic philosopher, writer, statesman, and de facto ruler of the Empire for many years, had three compelling reasons to mention Jesus at least at some point in his many writings. First, though regarded as the greatest Roman writer on ethics, he has nothing to say about arguably the biggest ethical shakeup of his time. Second, in his book on nature Quaestiones Naturales, he records eclipses and other unusual natural phenomena, but makes no mention of the miraculous Star of Bethlehem, the multiple earthquakes in Jerusalem after Jesus’ death, or the worldwide (or at the very least region-wide) darkness at Christ’s crucifixion that he himself should have witnessed. Third, in another book On Superstition, Seneca lambasts every known religion, including Judaism.1 But strangely, he makes no mention whatsoever of Christianity, which was supposedly spreading like wildfire across the empire. This uncomfortable fact later made Augustine squirm in his theological treatise City of God (book 6, chapter 11) as he tried mightily to explain away Seneca’s glaring omission. In the 4th century, Christian scribes were so desperate to co-opt Seneca they even forged a series of correspondence between Seneca and his “dearest” friend, the Apostle Paul! or he was an outright mythical character. At no point in any of David’s discussions of the various silences can I see him saying that any particular silence somehow “means Jesus did not exist”. Notice his conclusion above. David concludes that the cumulation of certain silences in certain contexts leads to a number of “unhappy choices” for believers in the gospels: one of these is that Jesus was indeed what many historical Jesus scholars claim, that he was “just another wandering preacher with a tiny following, completely unnoticed by society at large.” We will see the significance of this point by David when we come to Tim’s criticism. The supposed historical underpinning of Jesus, which apologists insist differentiates their Christ from the myriad other savior gods and divine sons of the ancient pagan world, simply does not hold up to investigation. On the contrary, the closer we examine the official story, or rather stories, of Christianity (or Christianities! ), the quicker it becomes apparent that the figure of the historical Jesus has traveled with a bodyguard of widely accepted, seldom examined untruths for over two millennia. 1. The idea that Jesus was a myth is ridiculous! 10. Christianity was a totally new and different miraculous overnight success that changed the world! Notice. David has chosen to address the myth that Jesus was wildly famous! 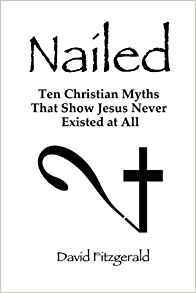 David is arguing that the miraculous stories surrounding Jesus that so many Christians believe in have no basis in the historical record, despite what too many apologists (he mentions Josh McDowell and Douglas Geivett) assert. A few months ago I posted about Michael Zolondek’s claims that historical Jesus scholarship uses the same historical methods as those used by other historians. Michael himself responded and I assured him and others that I would return to his book and compare his claims about his methods with the actual processes found in the book. I am finally getting around to returning to that promise. But first I need to refresh my memory on a few things and catch up with certain details. So those further posts I promised are still a few weeks away. 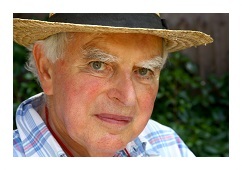 Meyer, Ben F. 2002. The Aims of Jesus: Reprint edition. San Jose, Calif.: Wipf & Stock. The book was originally published in 1977 and an introduction in the reprint edition by N.T. 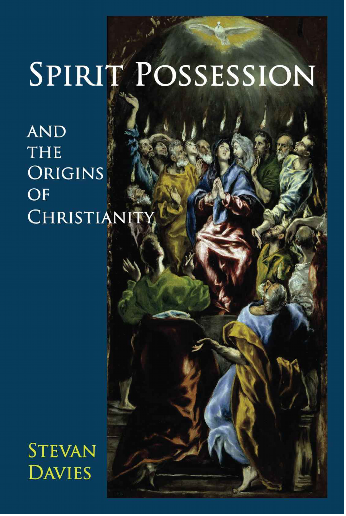 Wright indicates that it has been very influential among the “less liberal” historical Jesus scholars. 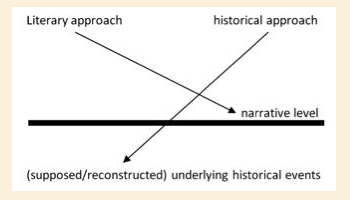 The first of the two parts of Meyer’s book is about hermeneutics and historical methods. What I was looking for in particular was Meyer’s explanation for how biblical or historical Jesus scholars decide what is historical bedrock in the gospels. There is discussion about various criteria and inference and such. That word “inference”, distinct from “proof” or “fact”, reminded me of an objection PZ Myers’ raised in his discussion with Eddie Marcus. It was encouraging to see Meyers acknowledge the place of inference and its meaning in his discussion. But then I came to a passage that echoed everything I have been come to see in how historical Jesus scholars work, but here it was stated in black and white. Finally, the motives, values, uses, and ulterior purposes of history, be it ever so critical, are themselves metacritical presuppositions. They are not controlled by method but arise from the historian’s intellectual and moral being, and in the end they account more fundamentally and adequately than anything else for the kind of history he produces. For a history of Jesus what counts is especially the stance toward religion and faith. 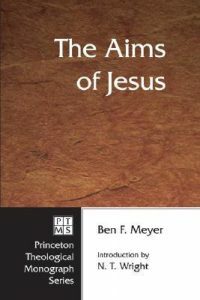 To me, that sounds like Ben Meyer is saying that a Christian historian will necessarily approach the gospels as if they are “obviously” reports of the “past of Jesus” and the task of the historian is to work out how much those gospel accounts have added to or coloured the actual historical past of Jesus. The possibility that the gospel accounts are not history or not even based on historical events at all never so much as approaches Ben Meyer’s mental horizon. The model that James McGrath used to describe a historical reading of the gospels is affirmed. The gospels are not read as literature but are read as gateways to imagining what happened independently of the narrative. The assumption that the gospels are some sort of biographies or historical works is a presupposed “fact”. All the historical method discussion, all the discussion about how to determine a historical probable Jesus, is premised on the gospels being reports that are written in such a way that the researcher can validly “see through” their narrative and language and identify some image of historical persons and events. 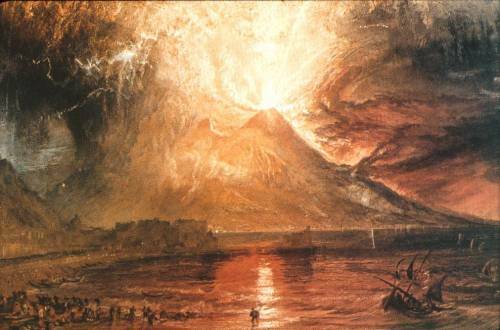 The narrative is assumed to be based on reports or memories of historical persons and events. When I read the works of classicists and ancient historians I see the same approach to historical narratives only when that approach has been justified by identifications of authorship and provenance, and by independent contemporary verification and/or by identification of relatively reliable historical sources for that narrative. We see none of those things in the case of the gospels.